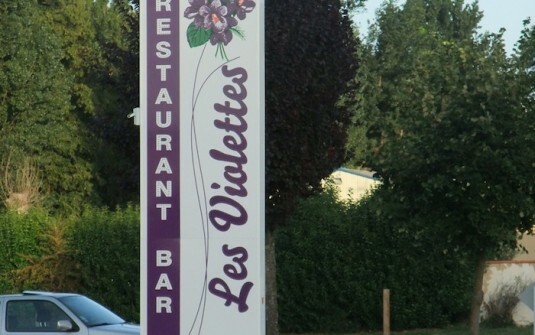 Restaurant Les Violettes was born in 1965 to a family passion. In a warm, come revel over a good dish of the South West: Gascon salad, duck breast, duck confit leg ... Be tempted by the local products in a friendly atmosphere. At home, the taste of good manners and traditional cuisine handed down from generation to generation: you will feel like home. Musicians or simple lovers of blues, blues rock and jazz do not miss our evenings BOOGIE TO PURPLE, every third Friday of the month.